There's a lot to learn, especially as Butterworth Wines, which has always been run on love and passion, has been rocked by a tragic death. Widowed Betsy is trying to keep the place afloat while hiding a debilitating secret. Meanwhile her handsome, but interfering grandson, Jensen, is trying to convince her to sell up and move into a home. 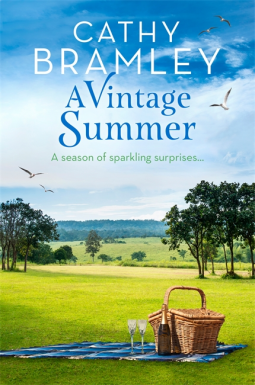 Lottie's determined to save Butterworth Wines and Betsy, but with an unpredictable summer to deal with, it'll be a challenge. And that's before she discovers something that will turn her summer - and her world - upside down . . .